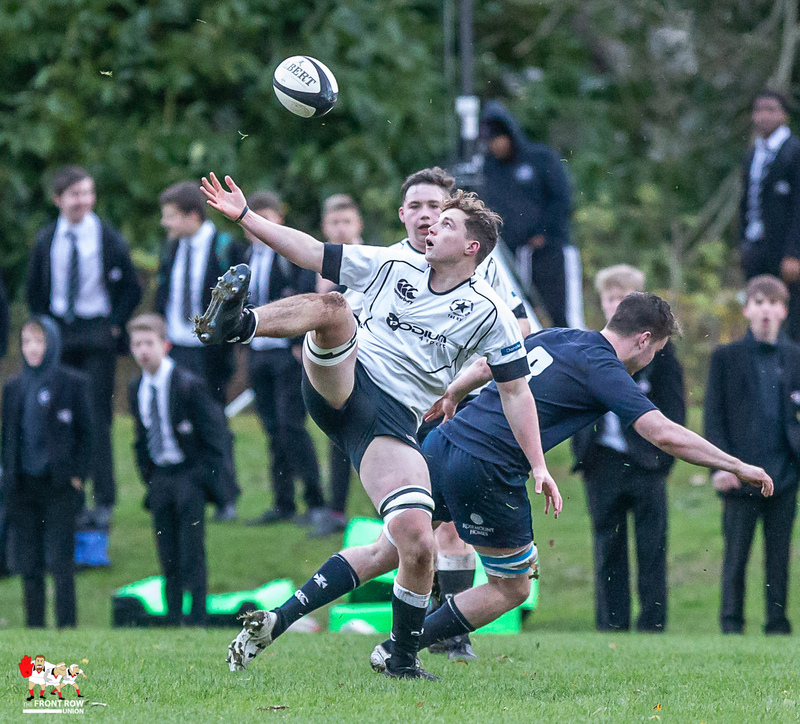 Friday 30th November 2018. 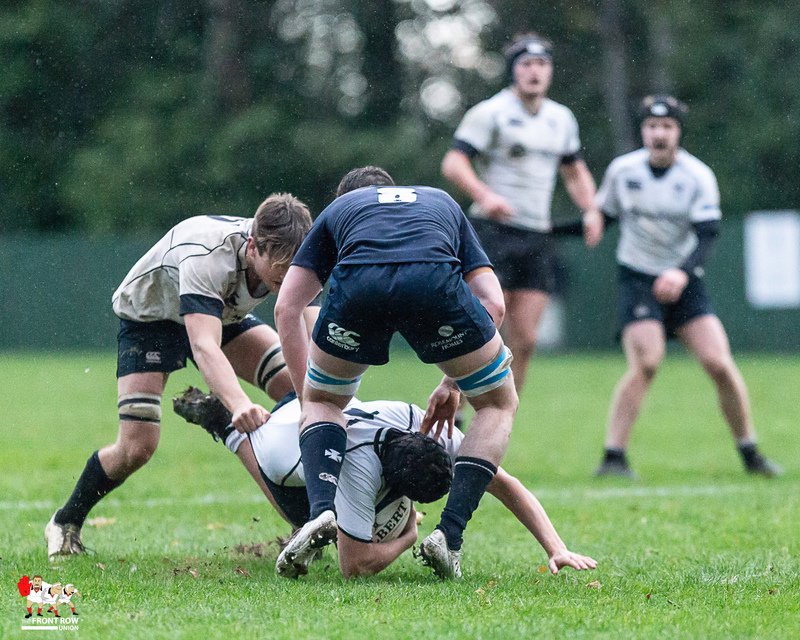 Campbell College hosted Methodist College on a very dank, dark overcast afternoon at Fox's Field yesterday. 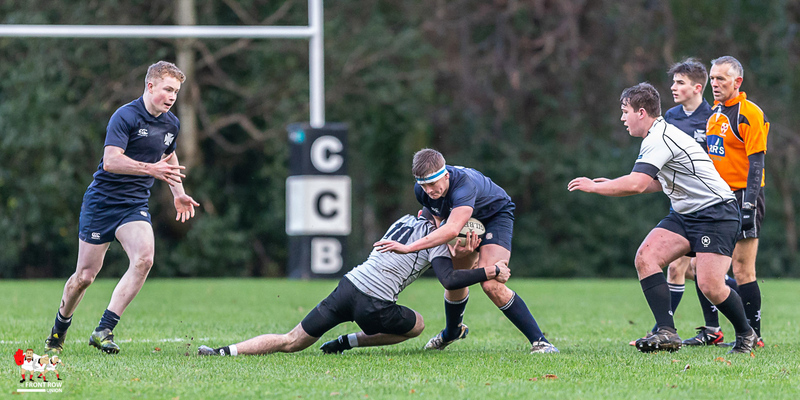 The visitors ran out winners 14 - 26. 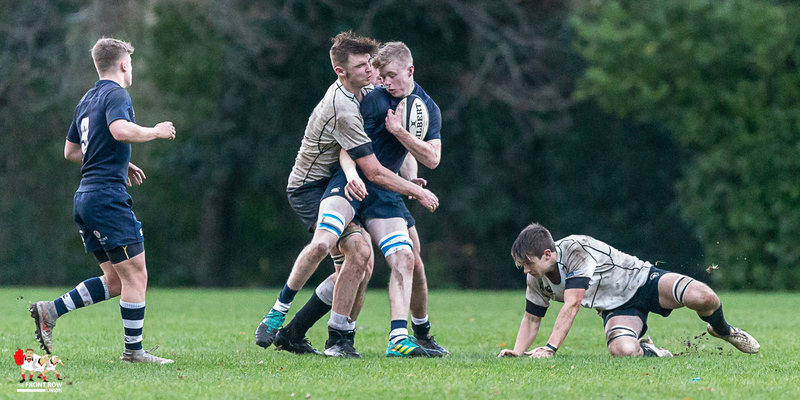 Campbell hosted Methody on a very dank, dark overcast afternoon at Fox’s Field on Friday. 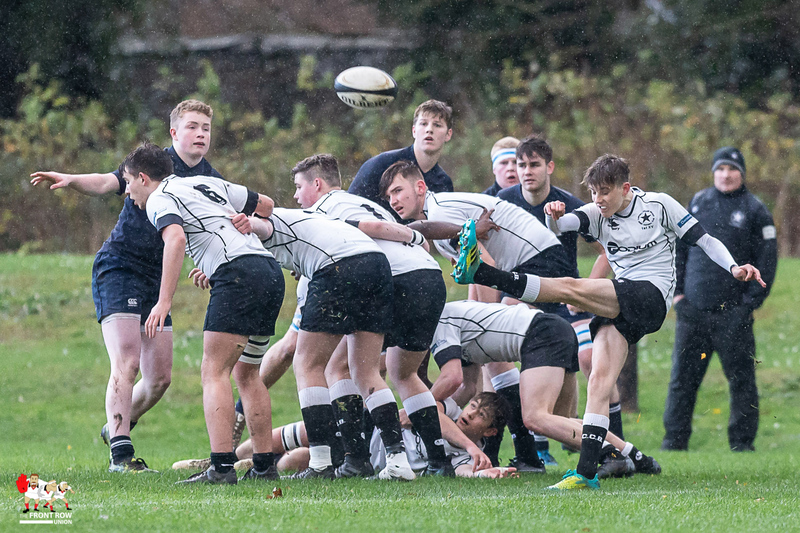 Methody were fast out of the blocks and following a sweeping move and fast recycling Chris Larmour scored in the corner in less than two minutes. 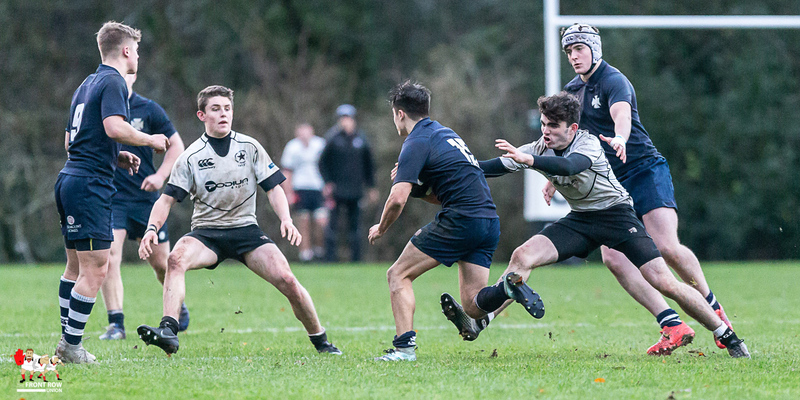 Campbell responded and after a period of sustained pressure took the lead through two Jack Bonnor penalty goals. 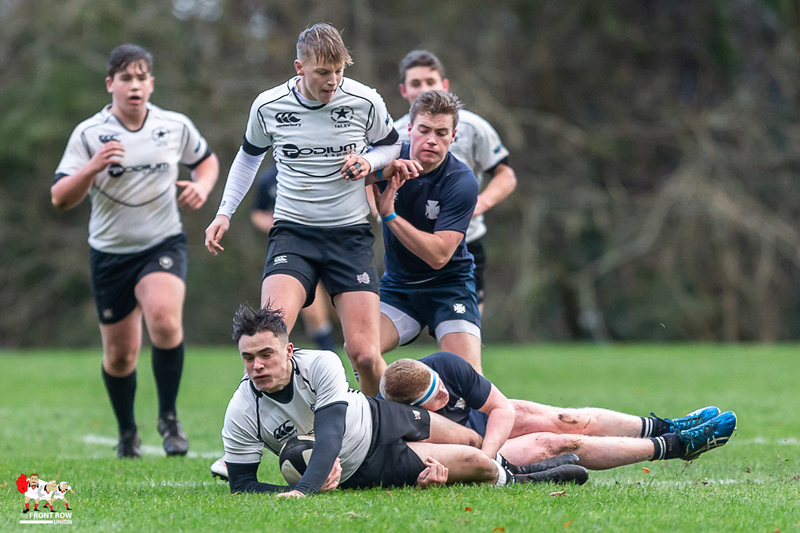 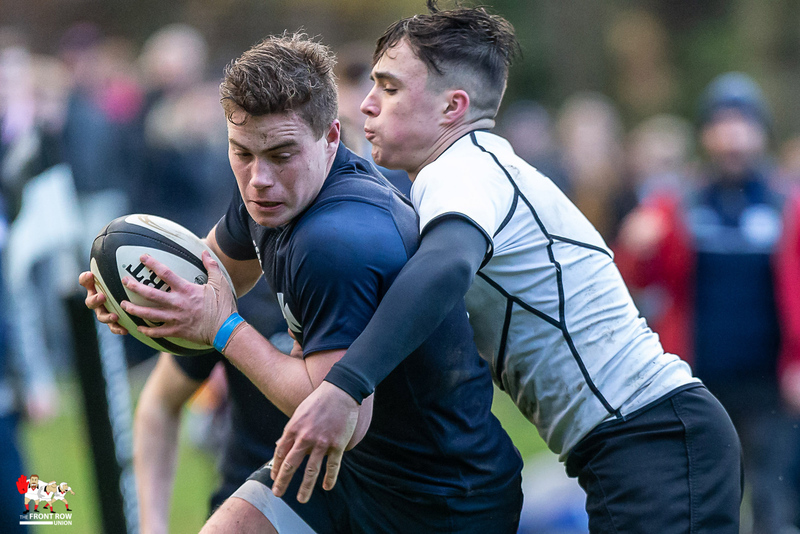 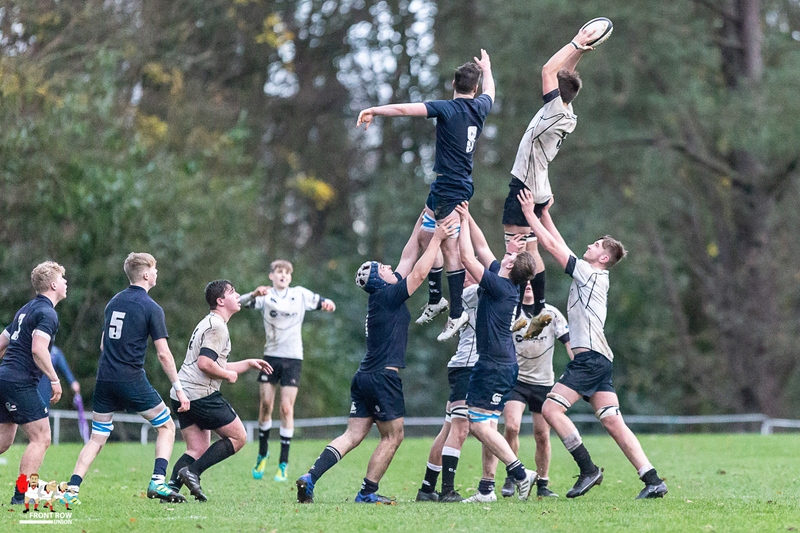 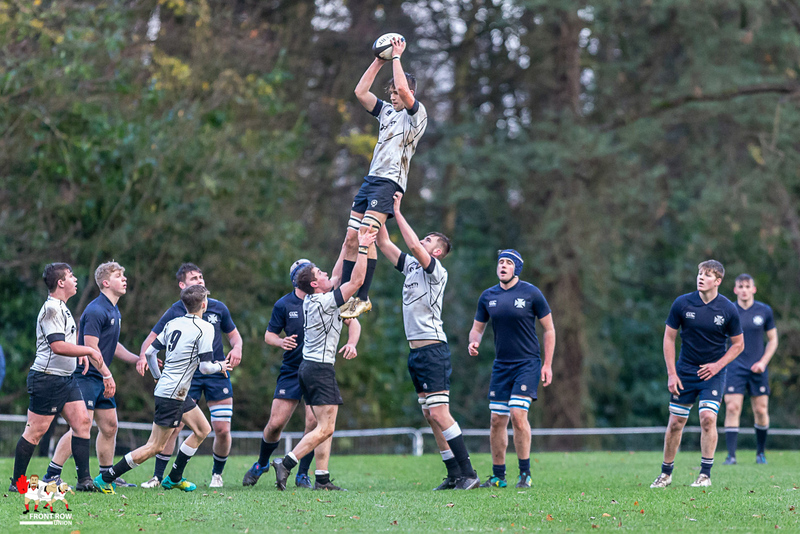 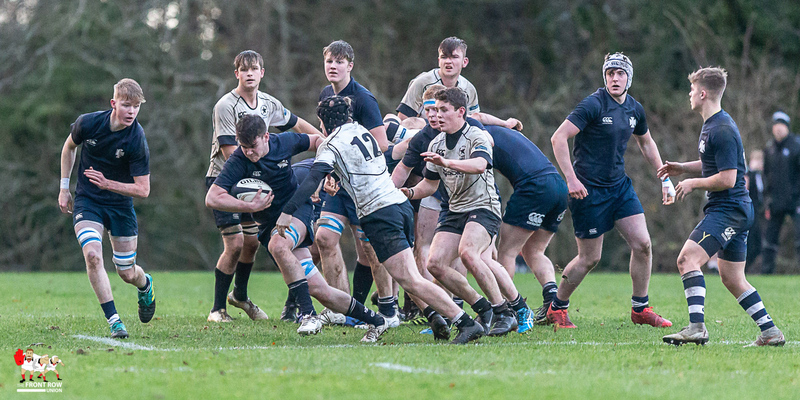 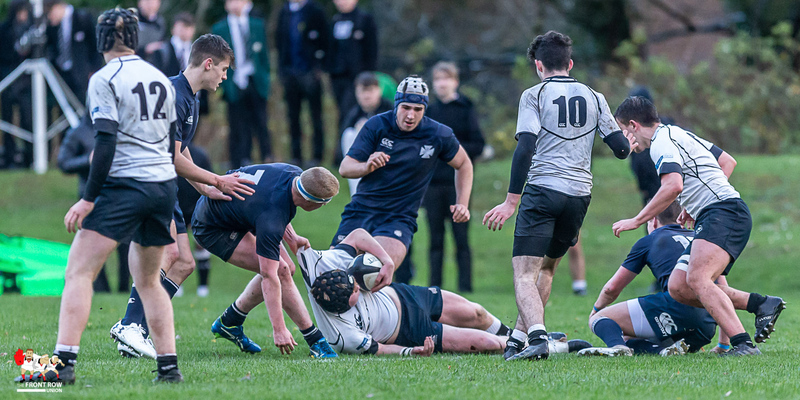 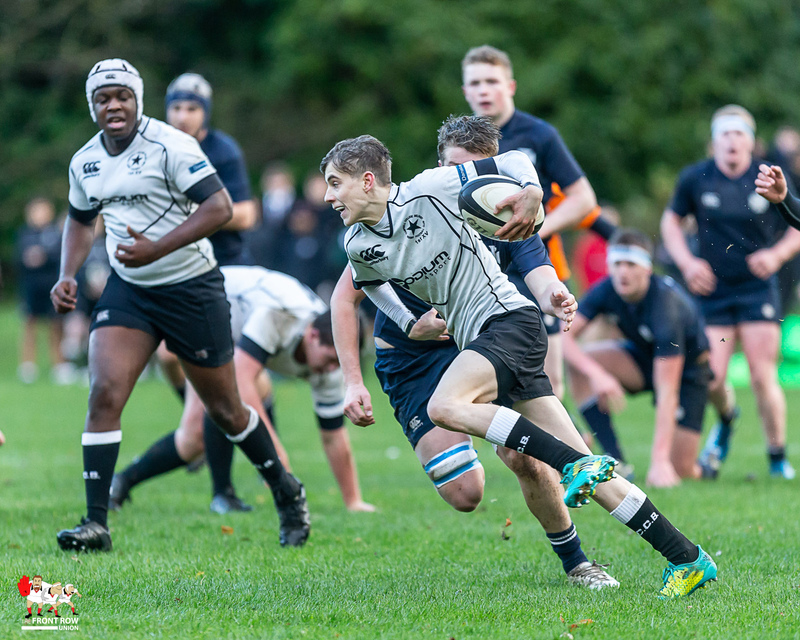 They starved the much vaunted Methody side of possession and Kieran Robertson scored an unconverted try close to half time for Campbell to lead 11 – 5. 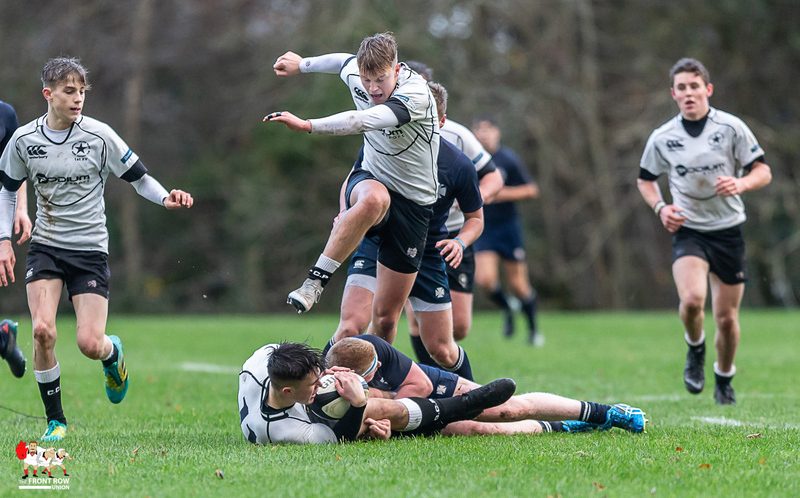 It was a very different Methody team in the second half. 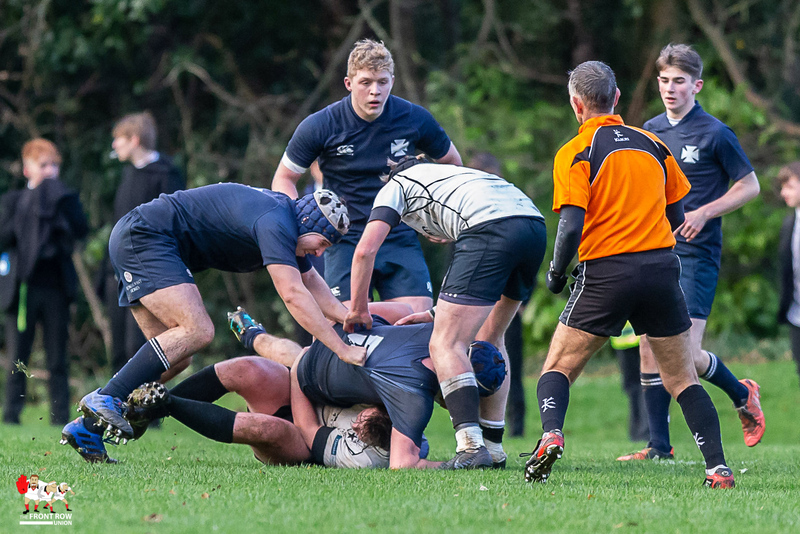 Within two minutes they had retaken the lead when John Fletcher scored close in and converted his own score. 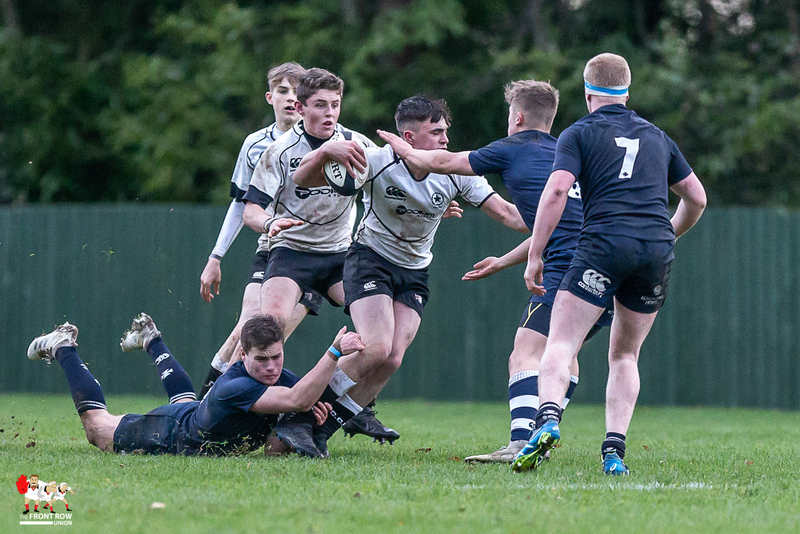 The visitors went further in front when a slick passing move and a run round lead to a Tommy Armstrong try, converted by Fletcher. 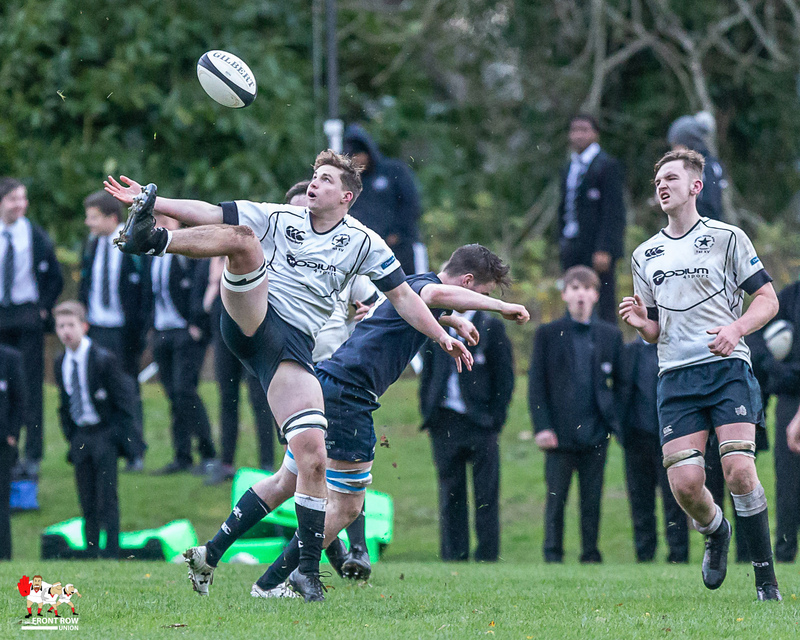 Campbell only had occasional forays into the Methody, which led to a successful penalty kick by Bonnor. 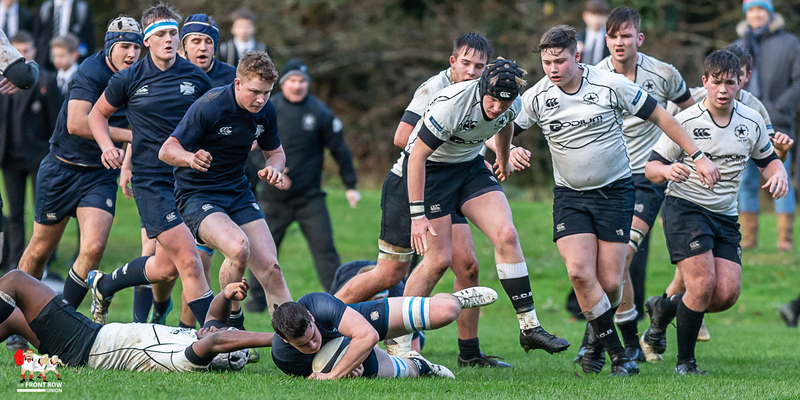 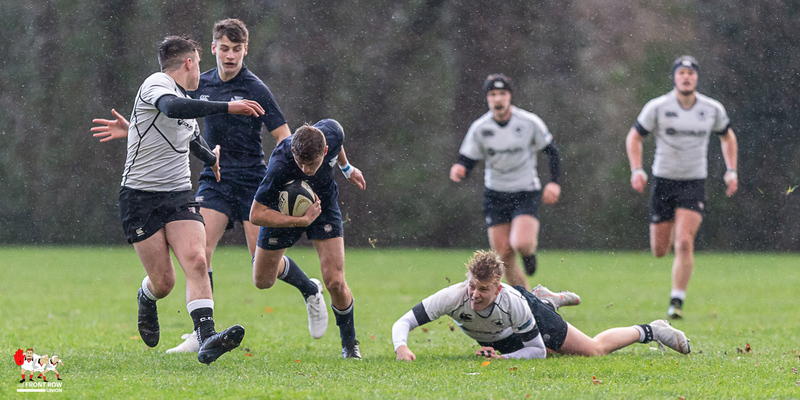 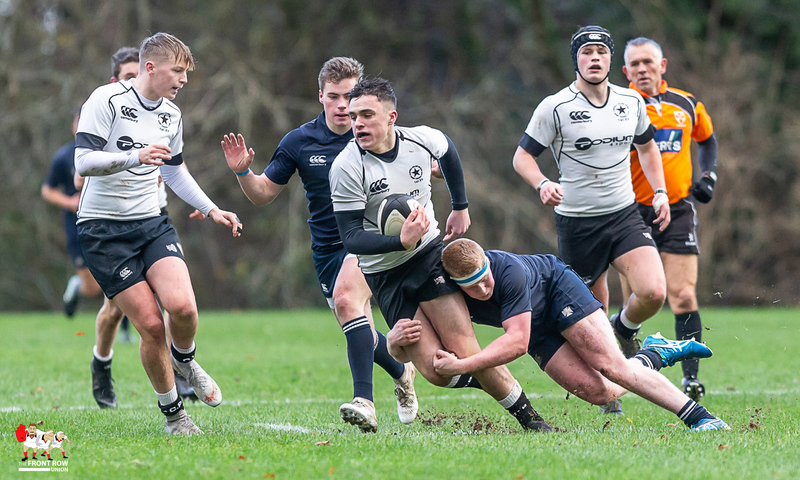 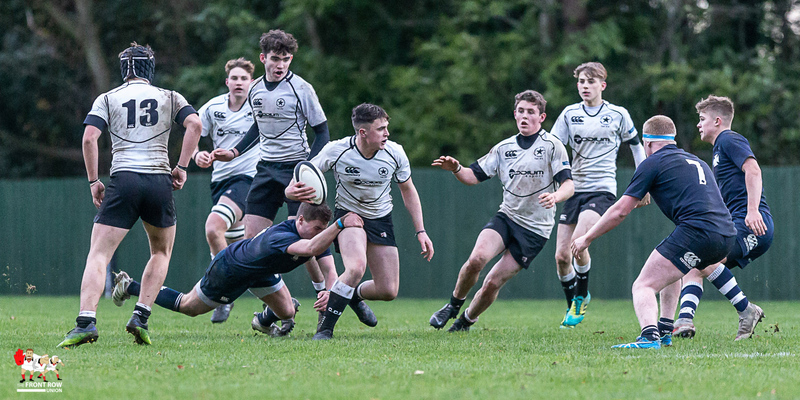 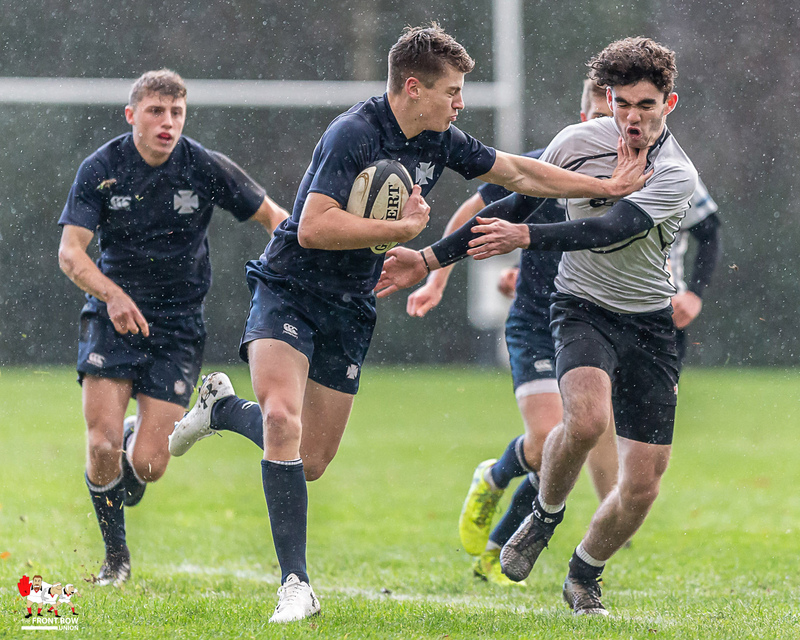 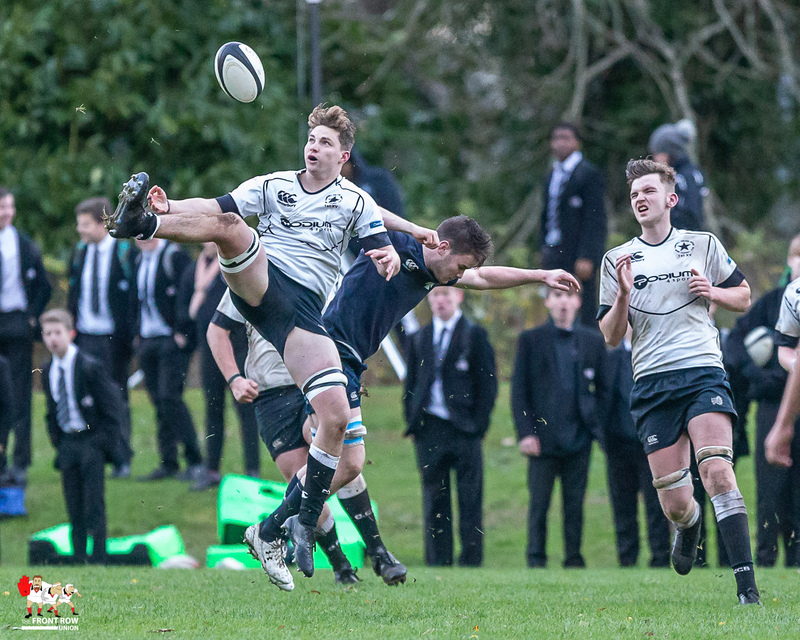 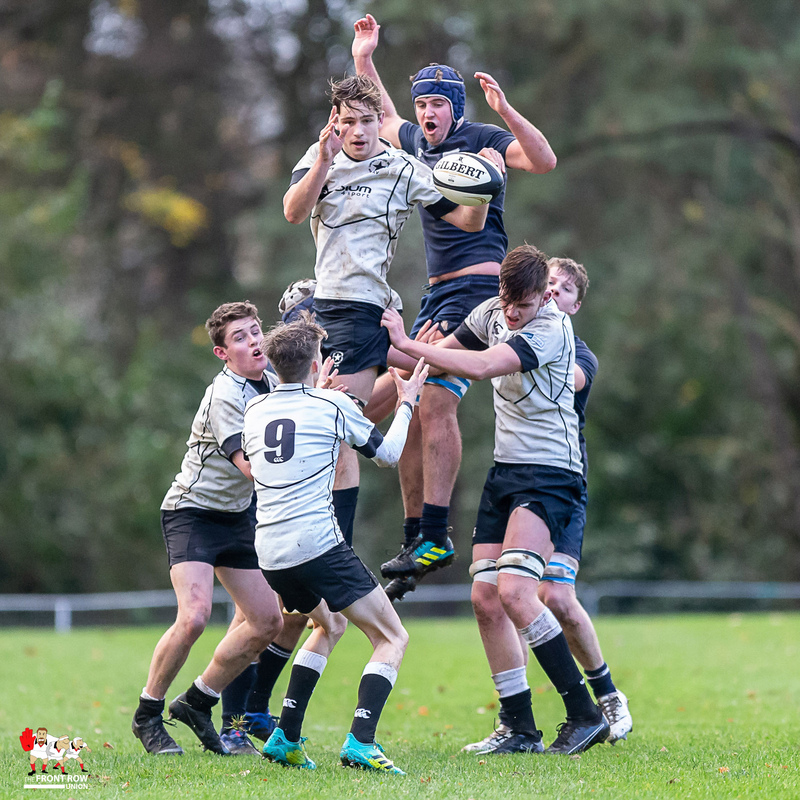 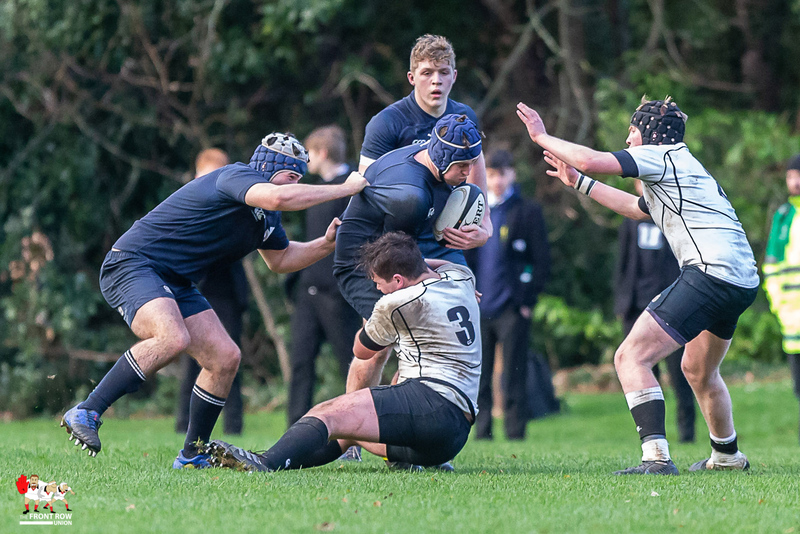 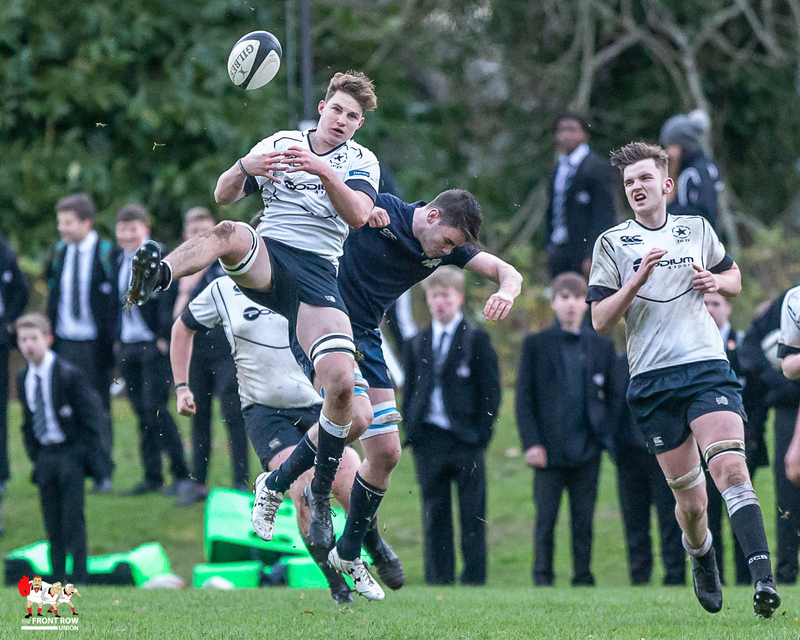 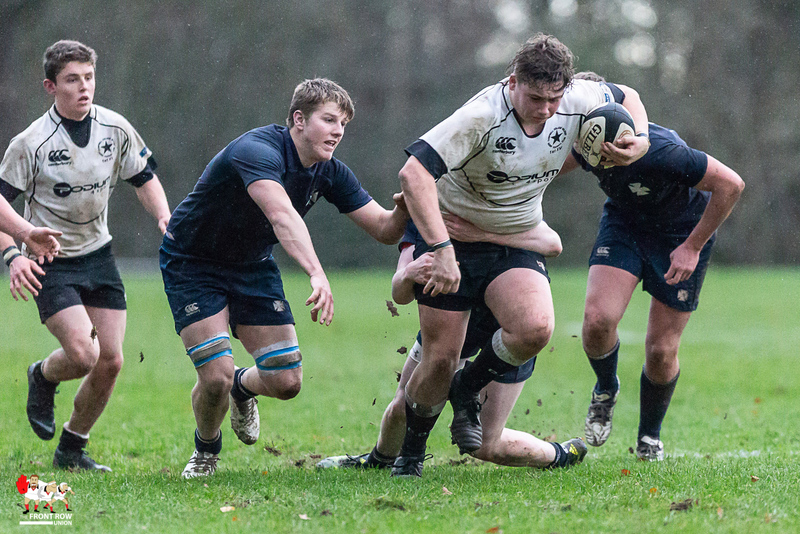 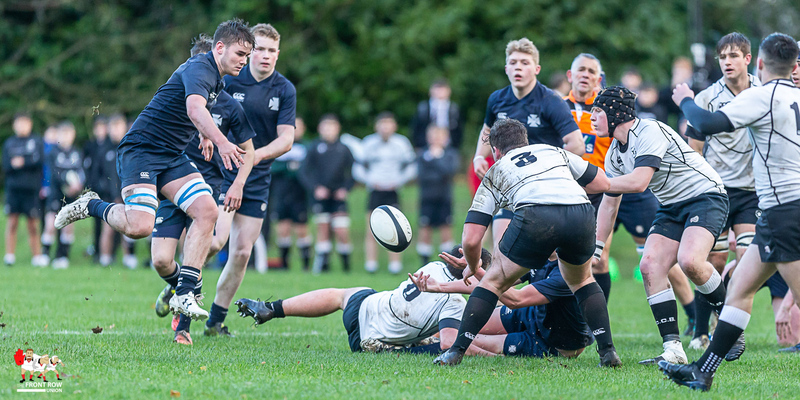 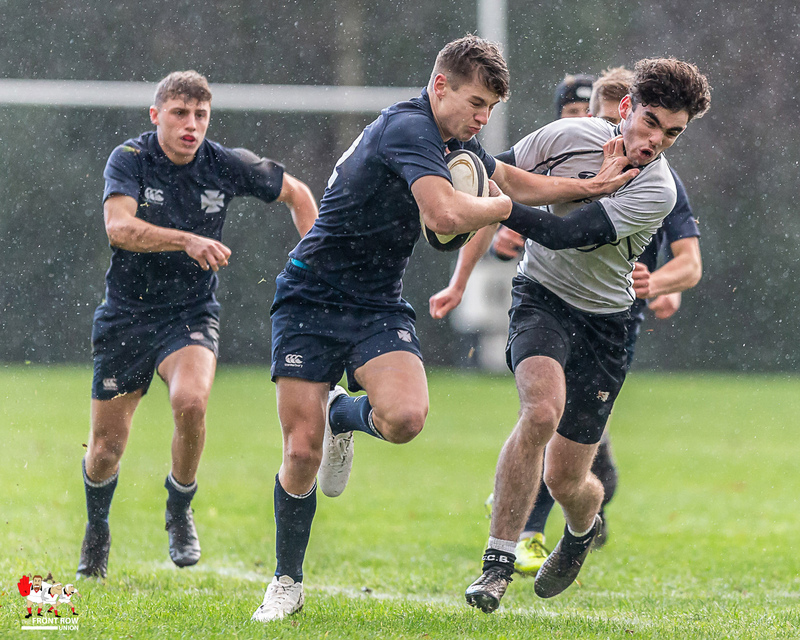 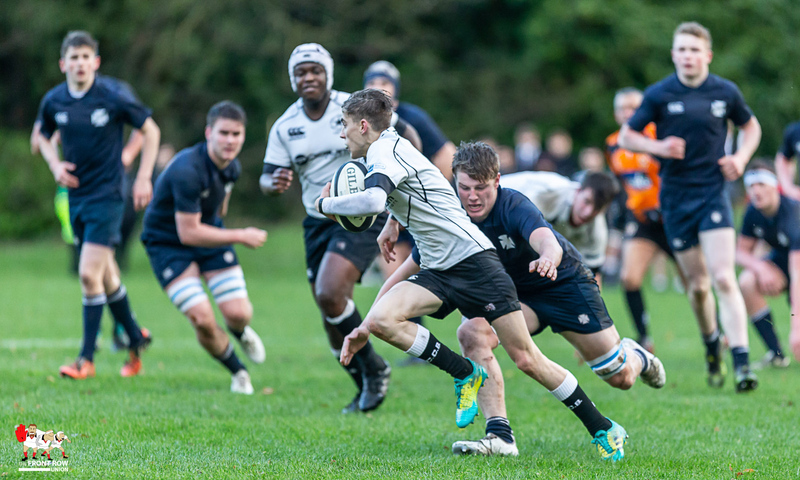 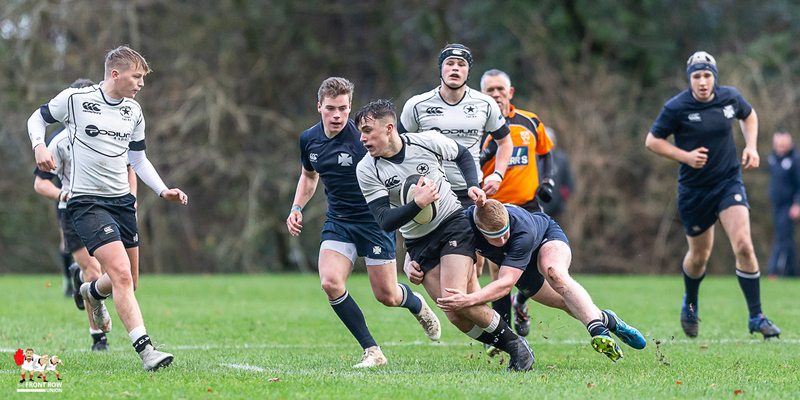 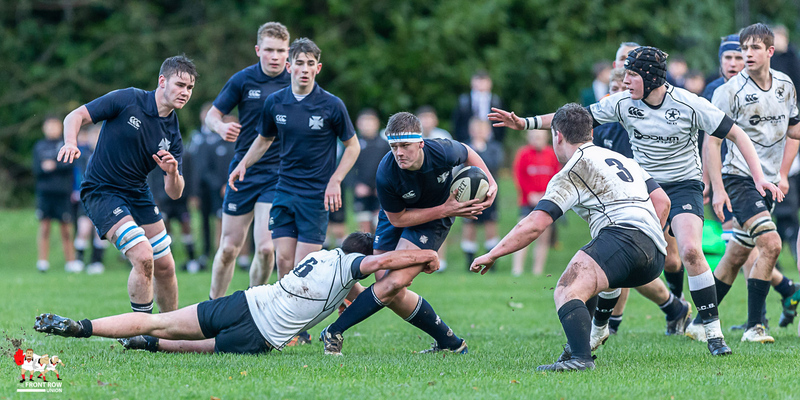 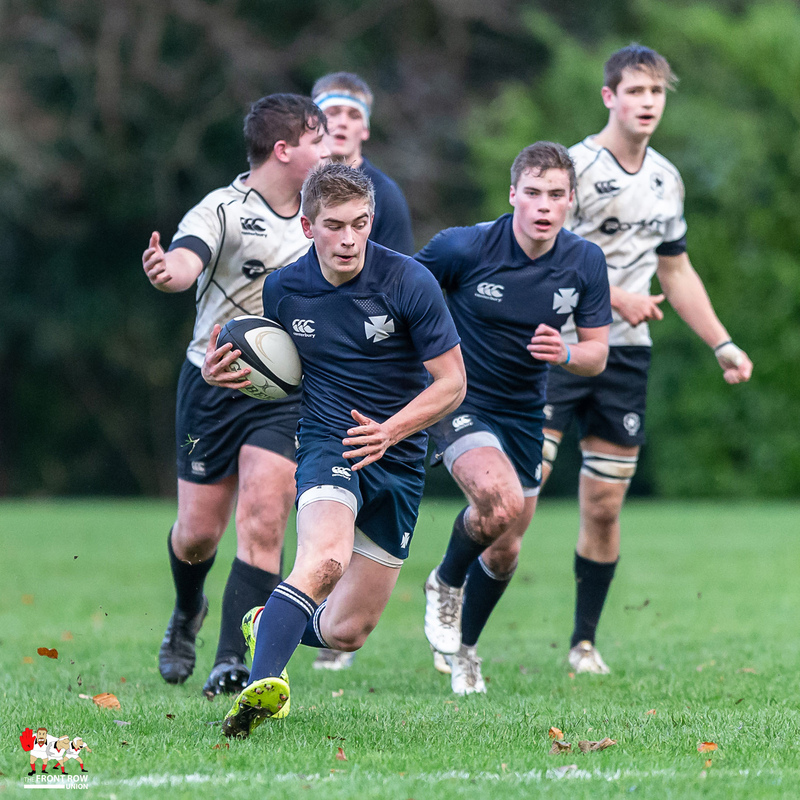 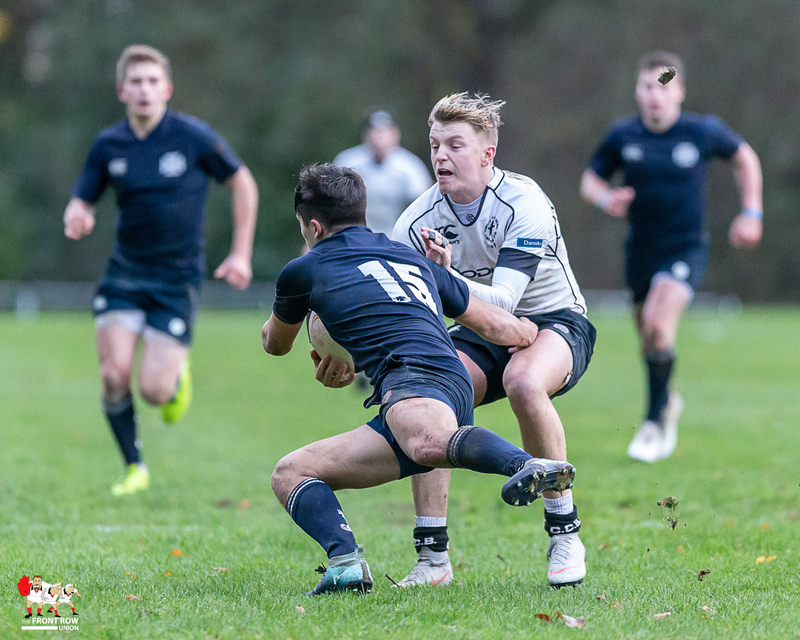 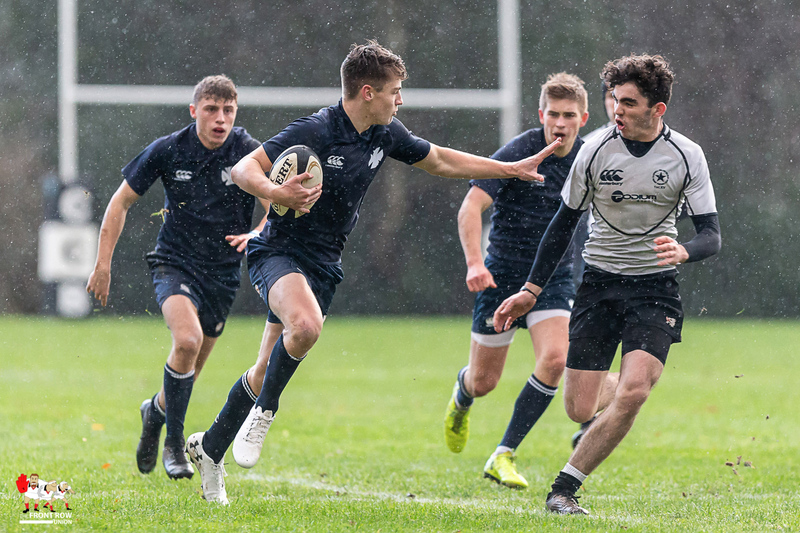 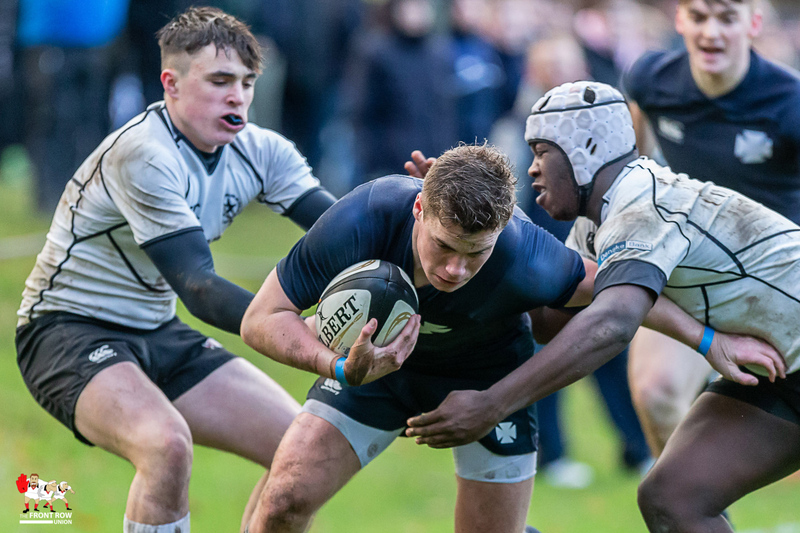 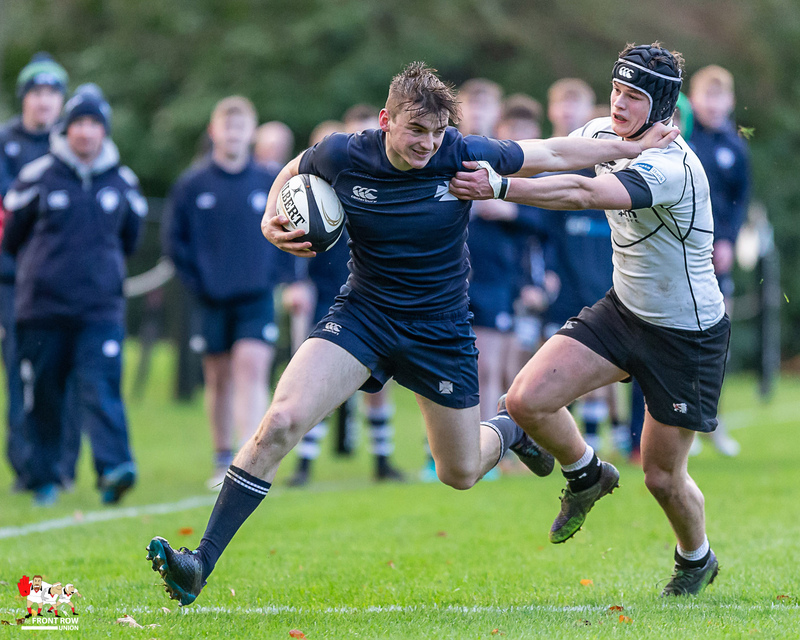 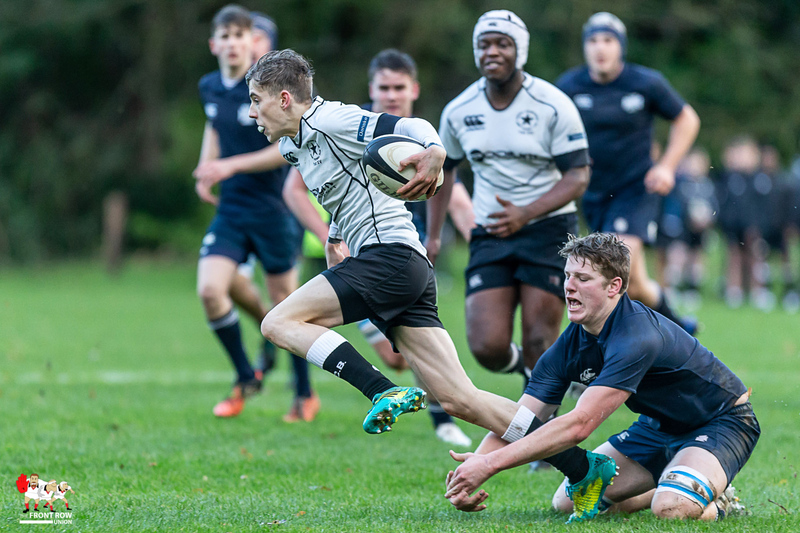 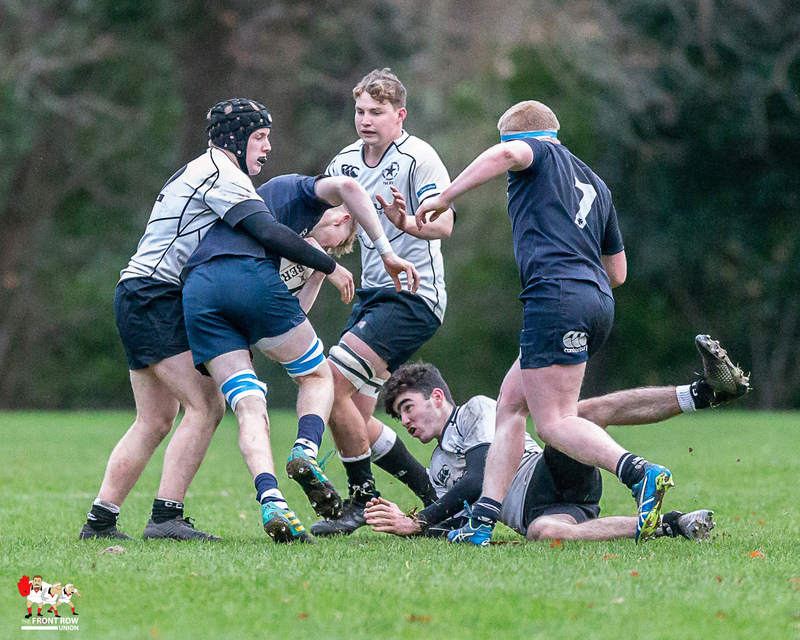 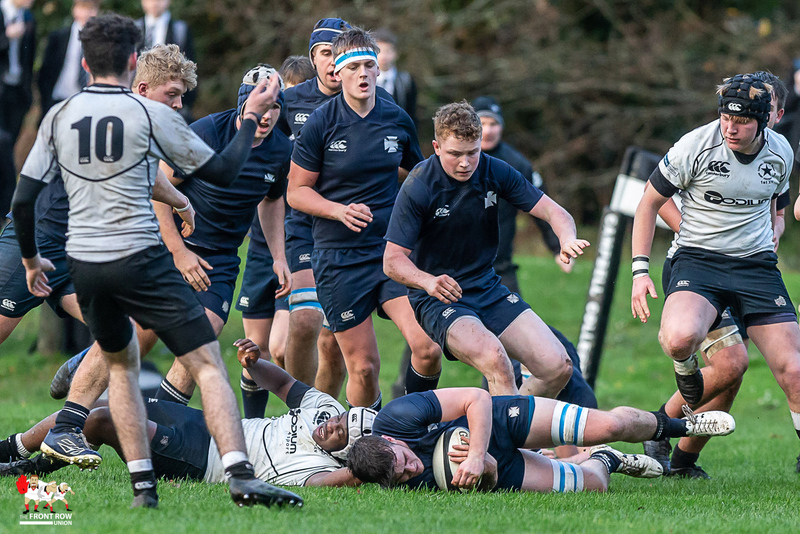 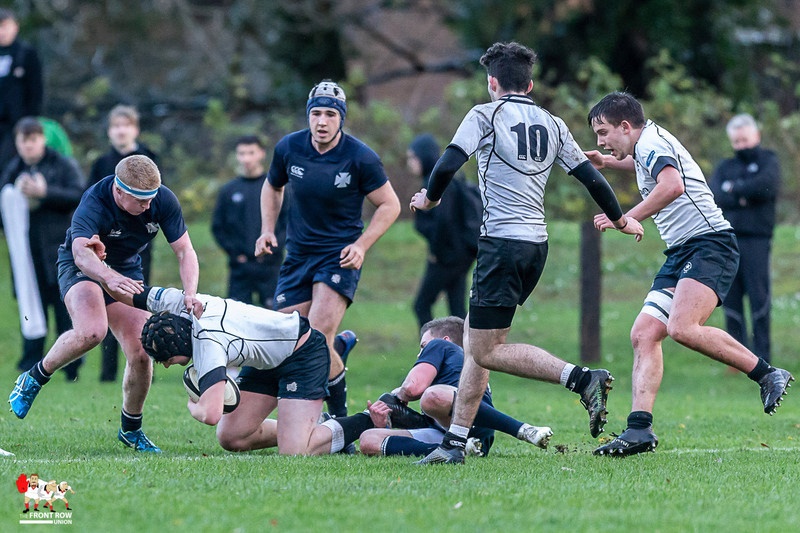 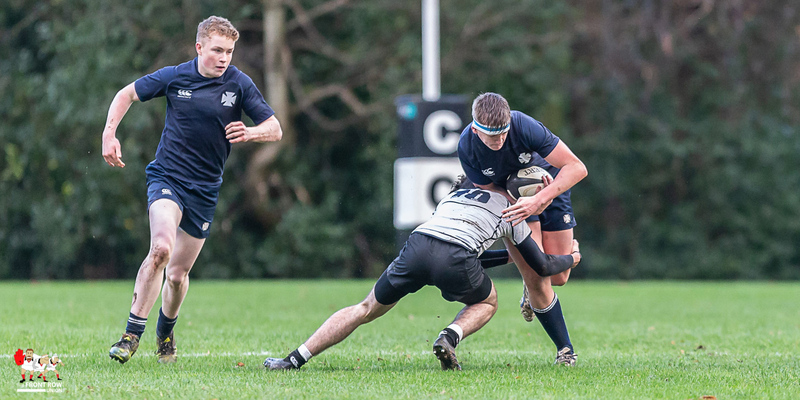 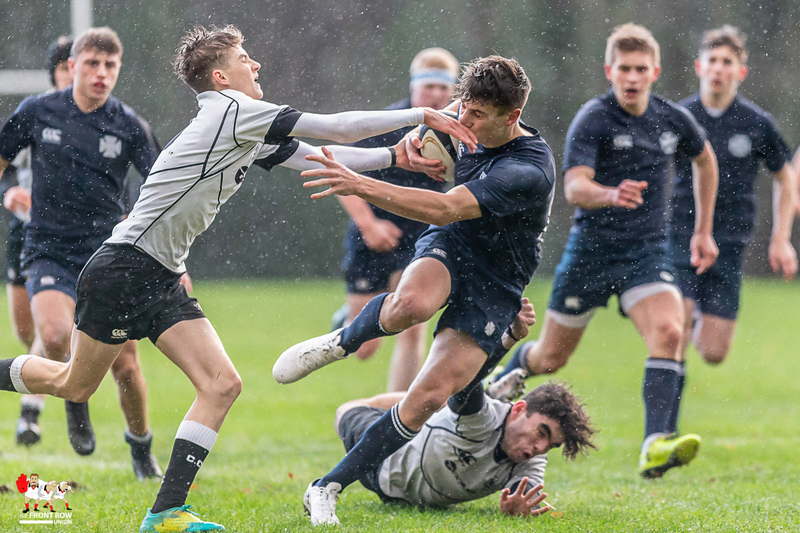 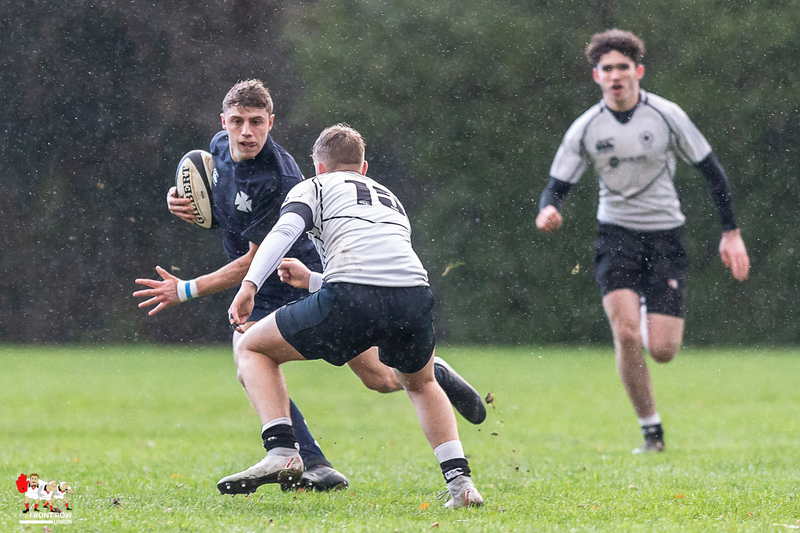 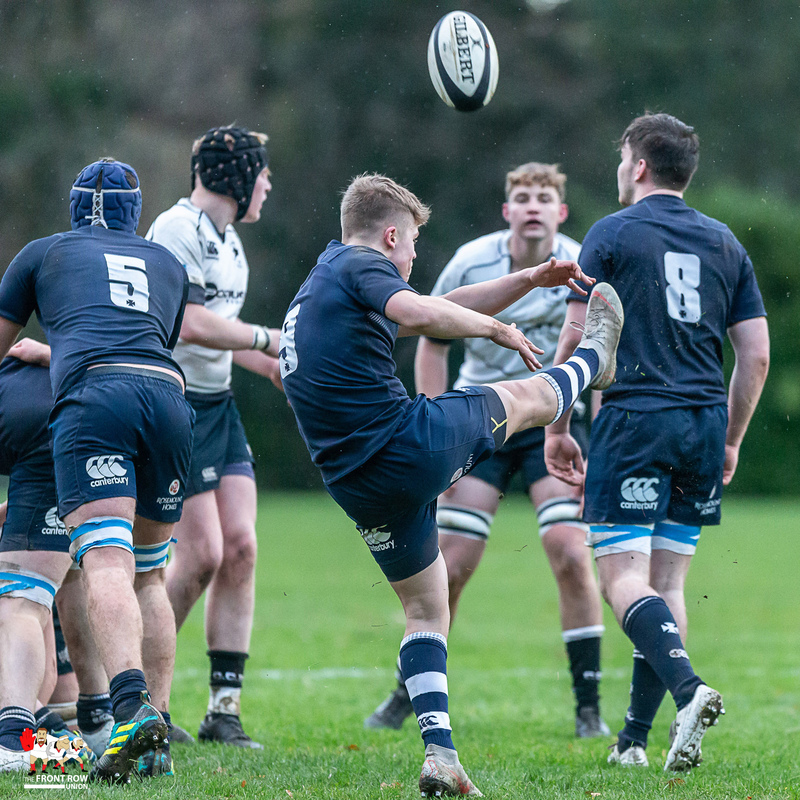 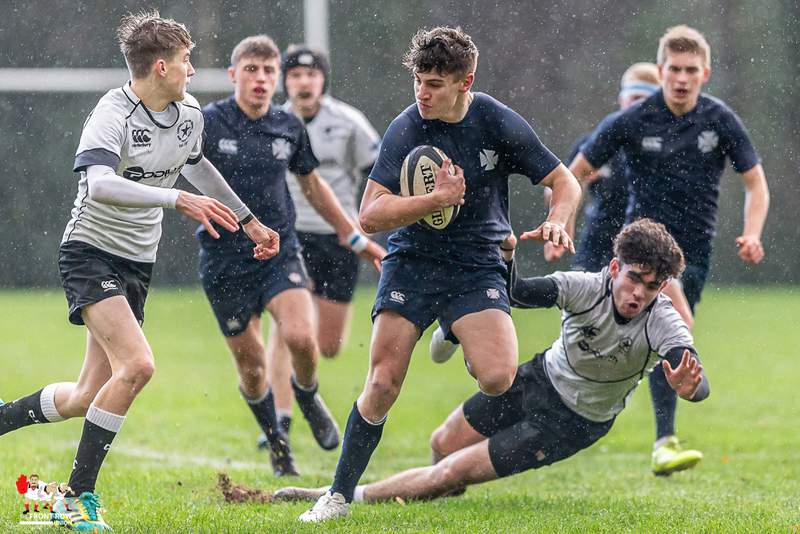 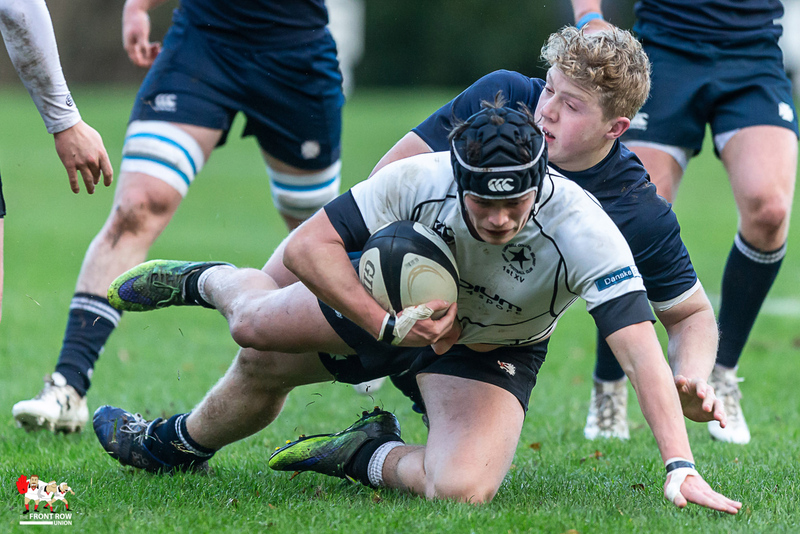 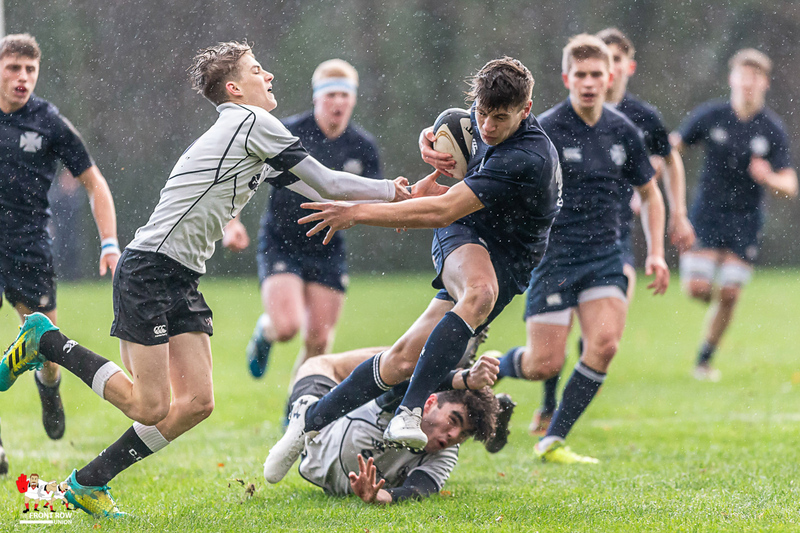 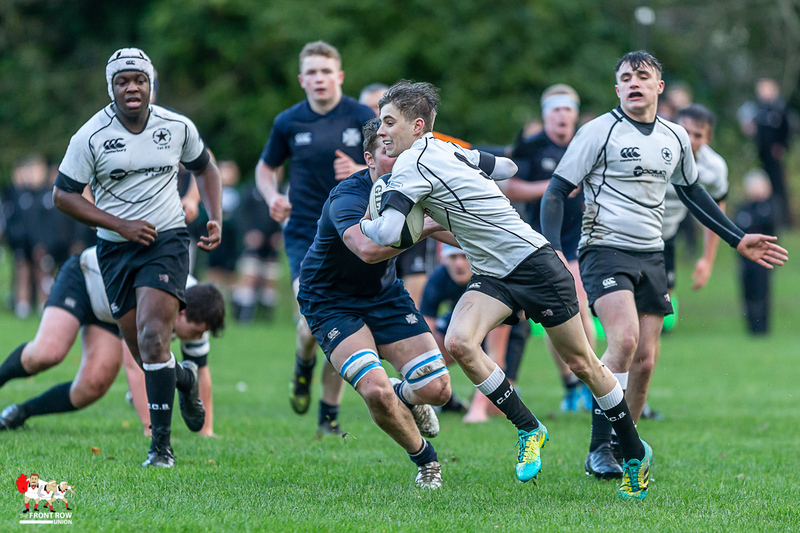 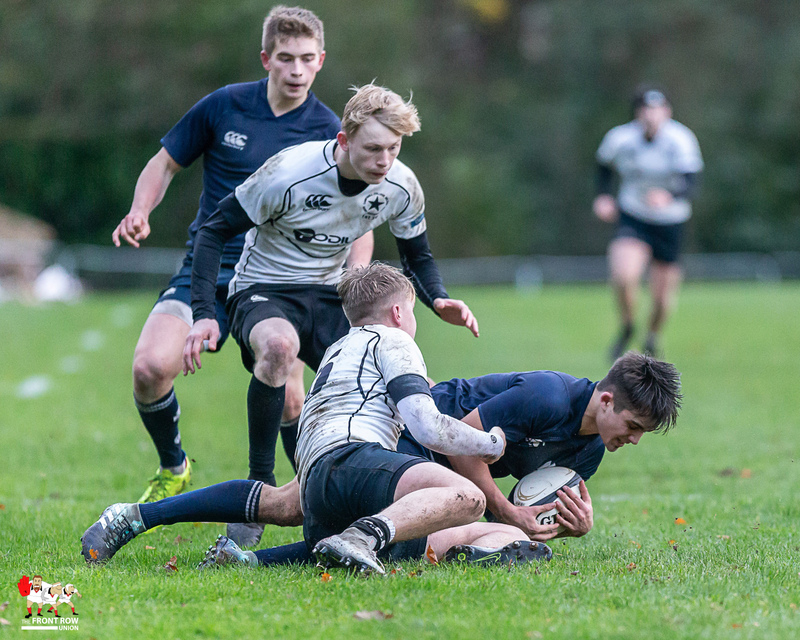 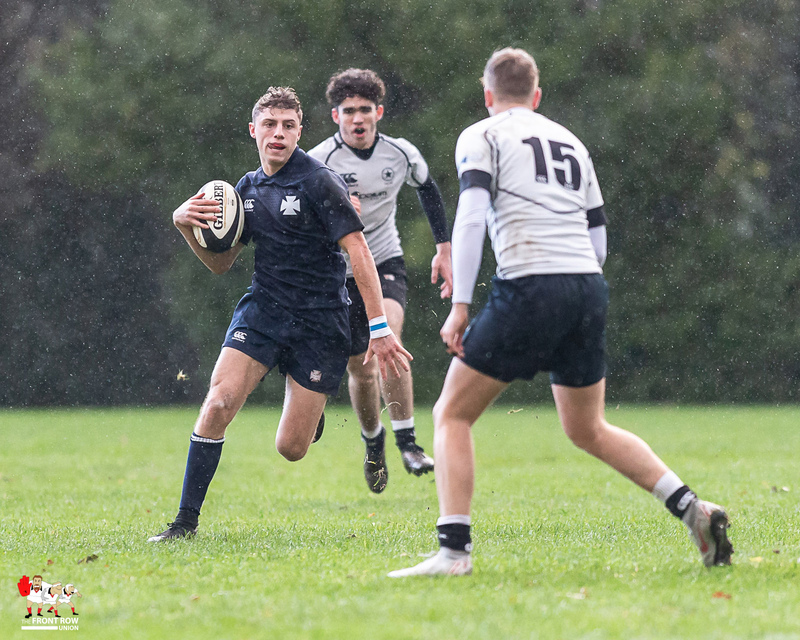 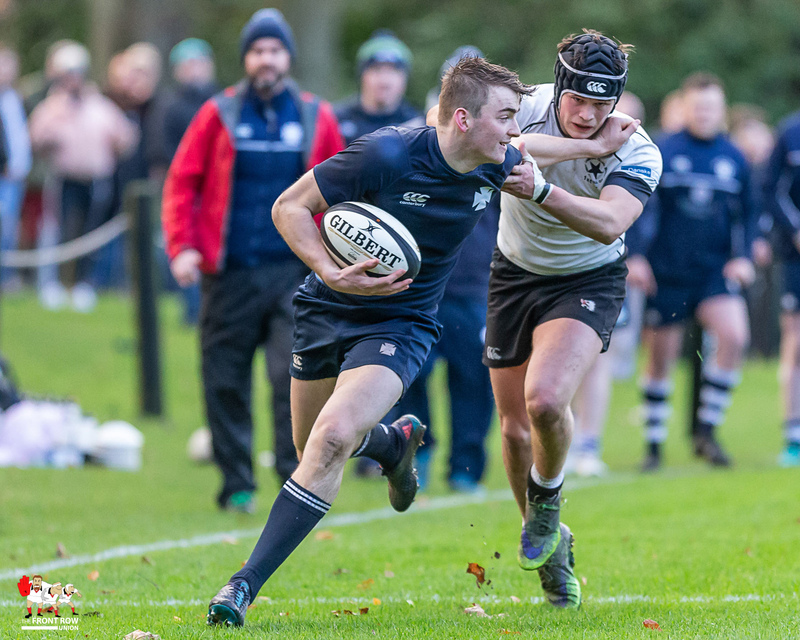 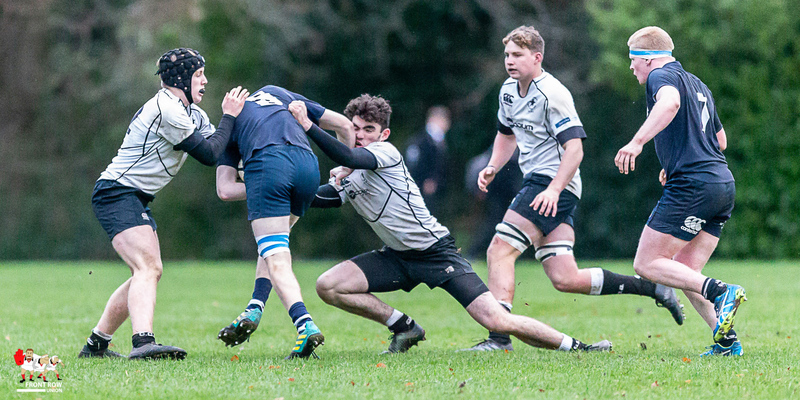 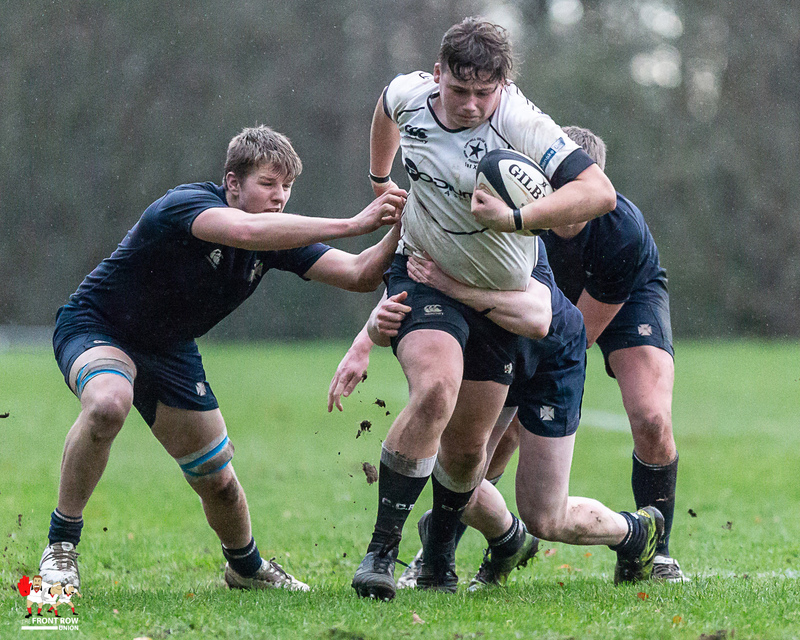 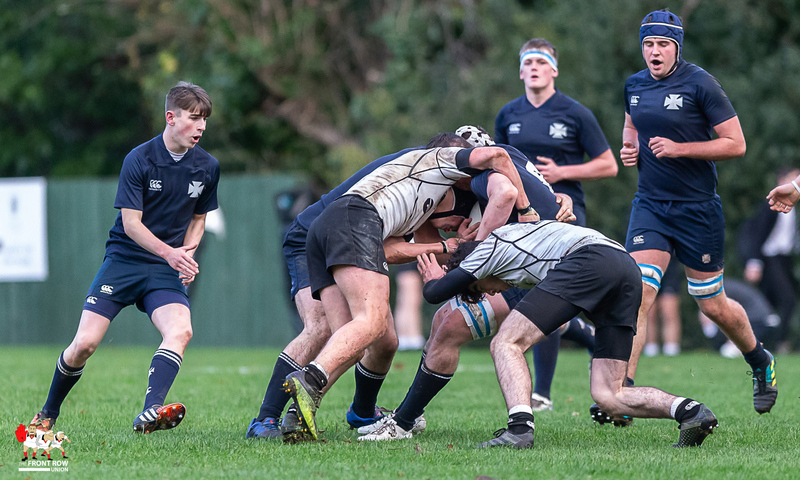 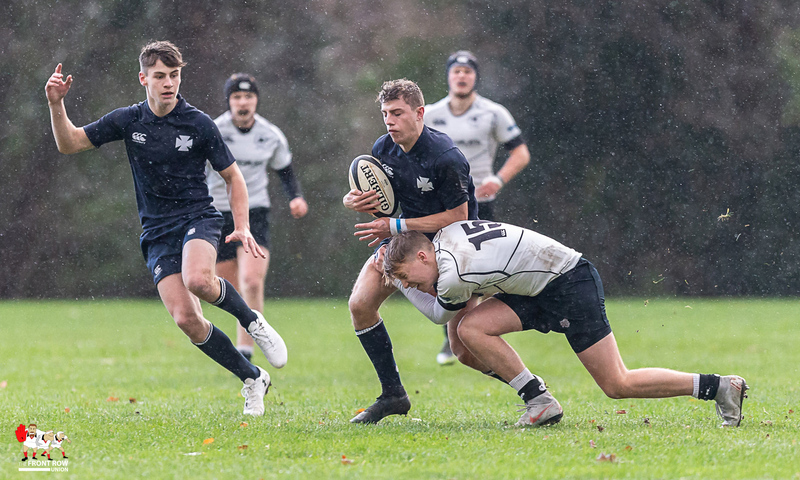 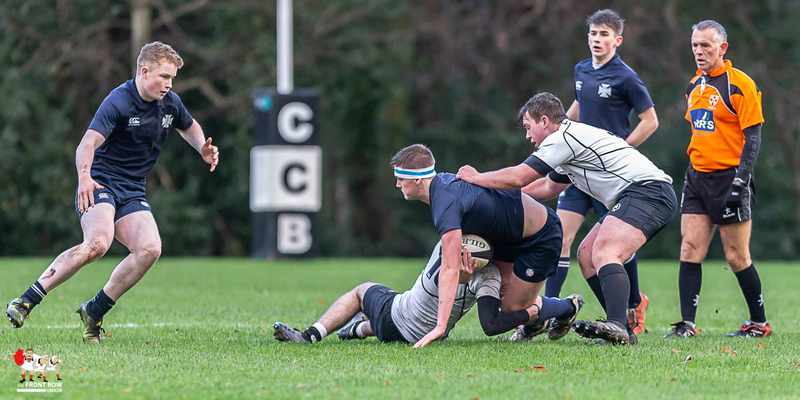 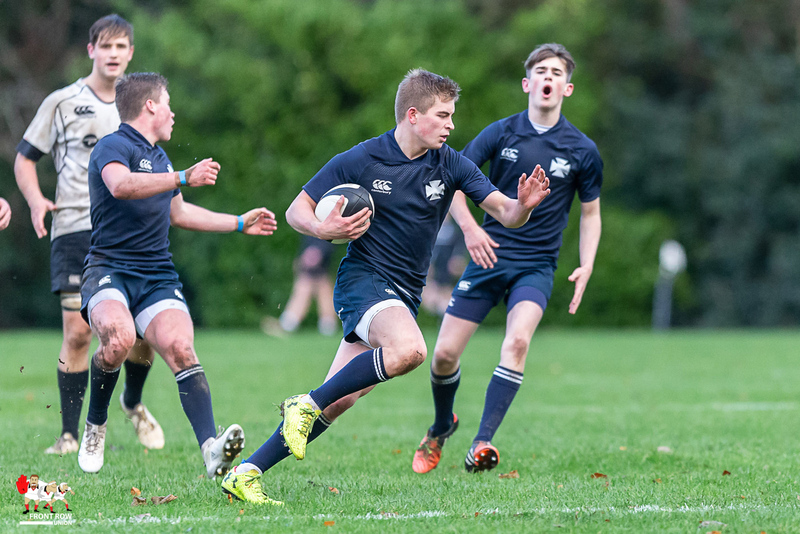 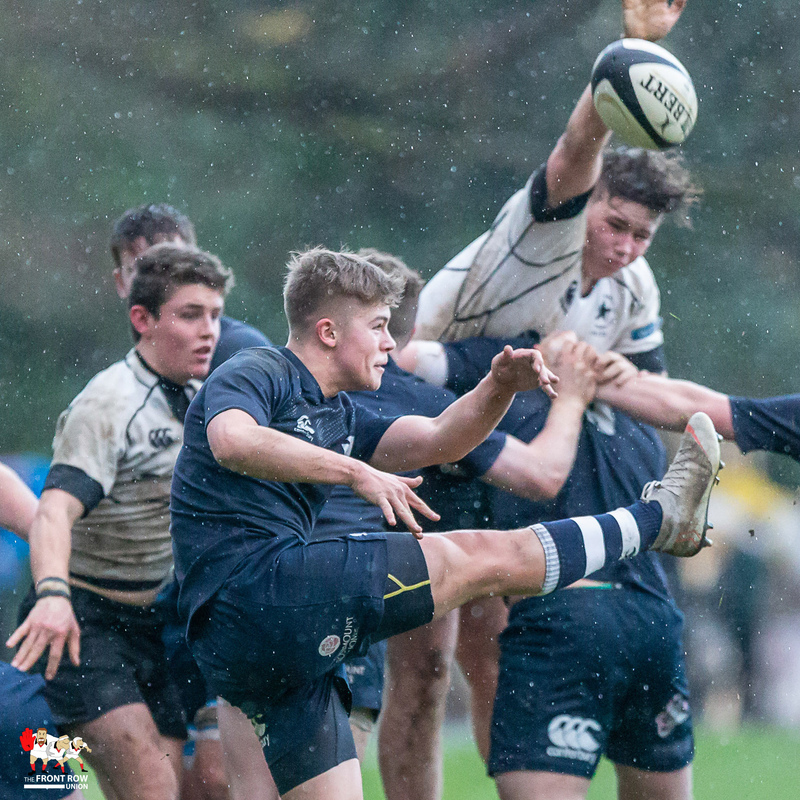 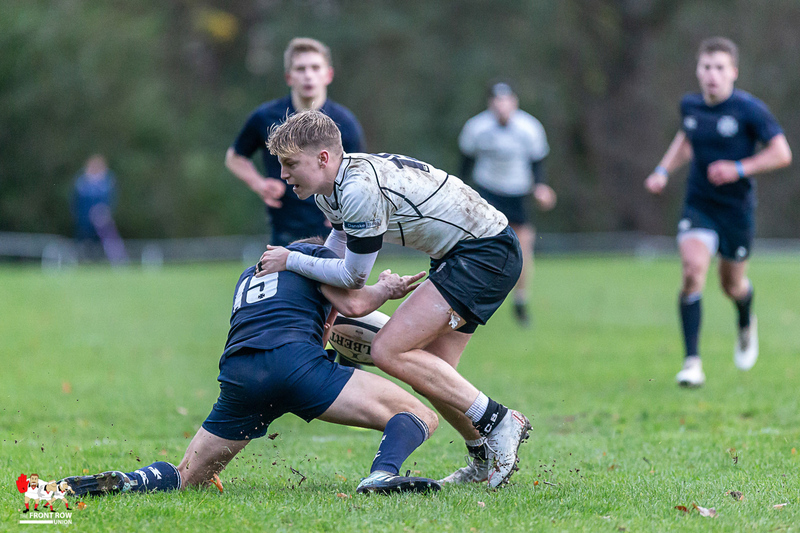 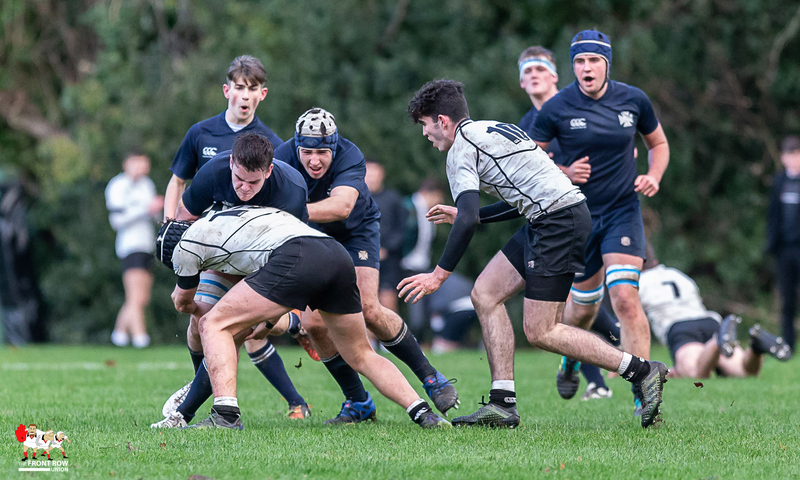 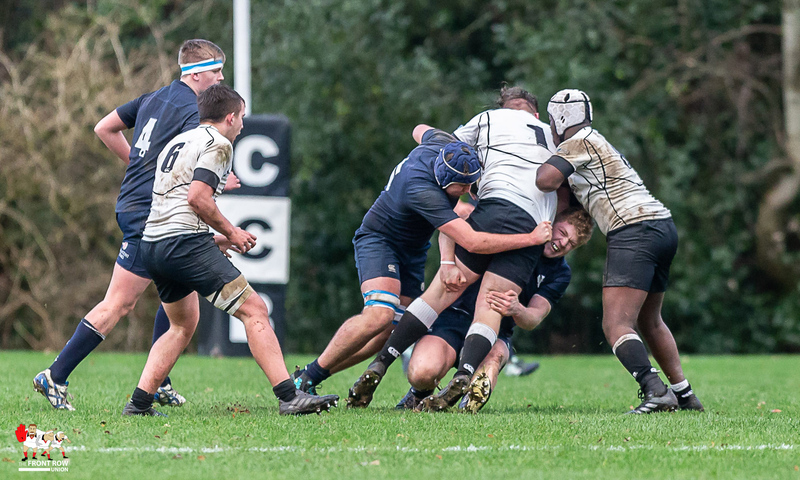 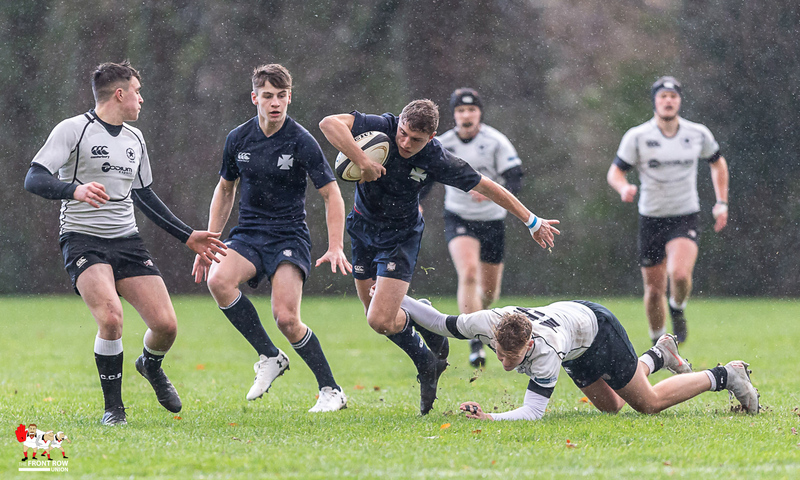 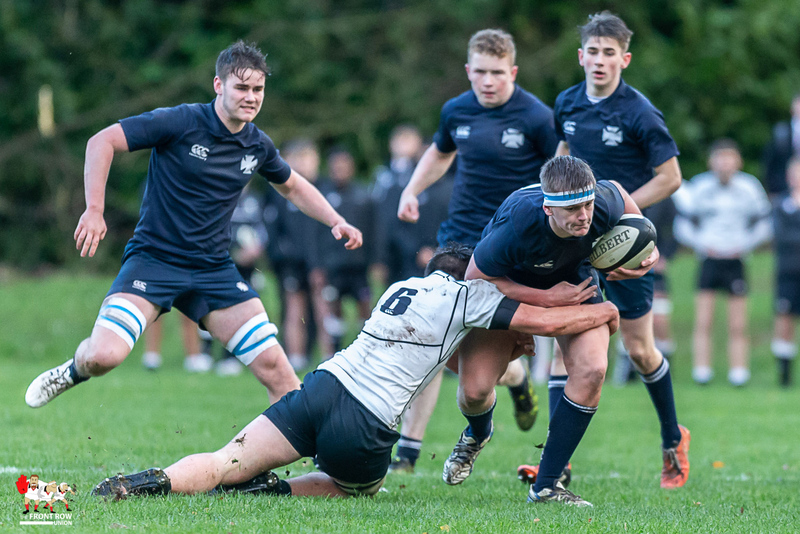 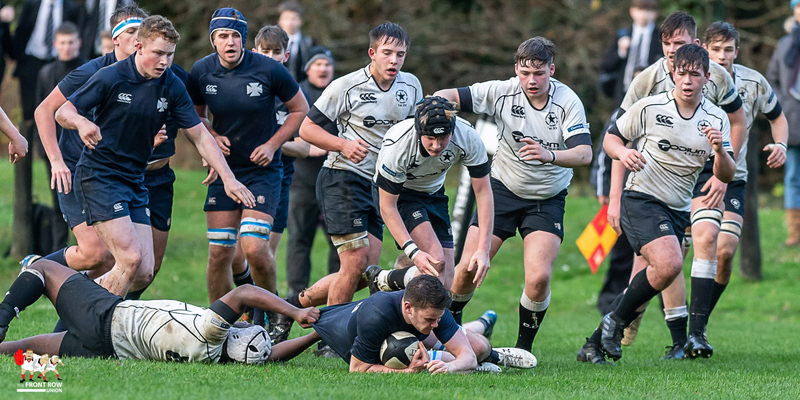 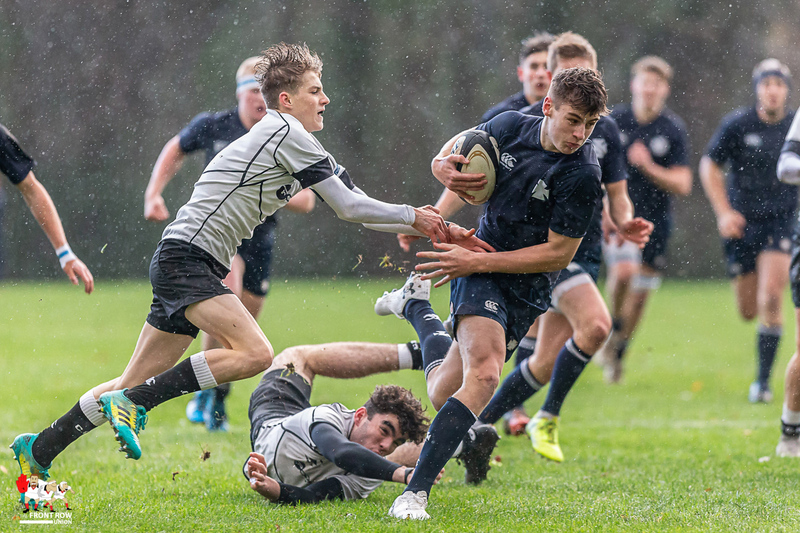 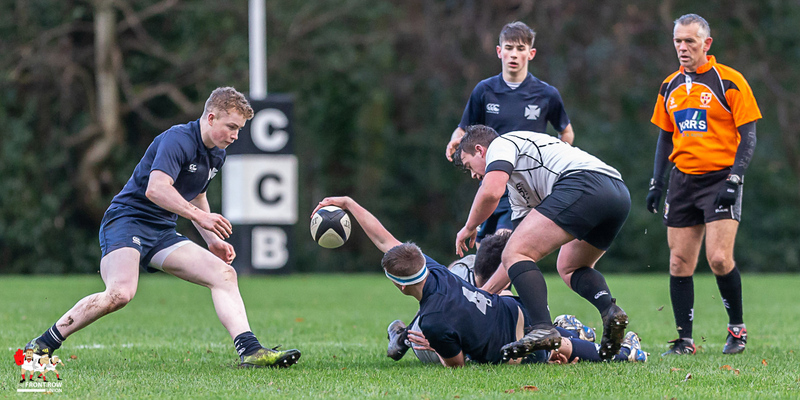 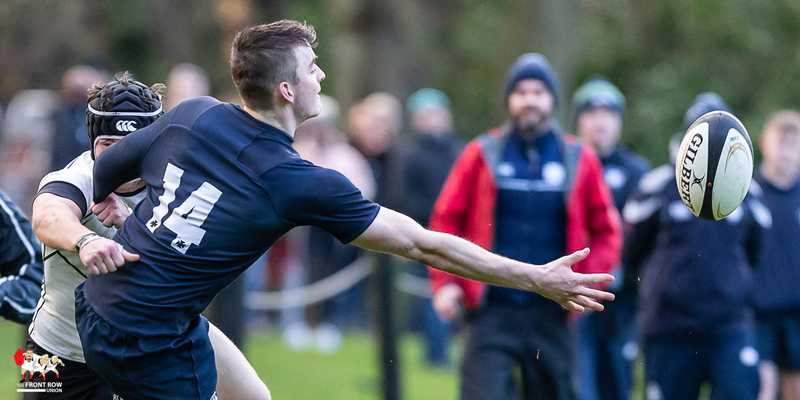 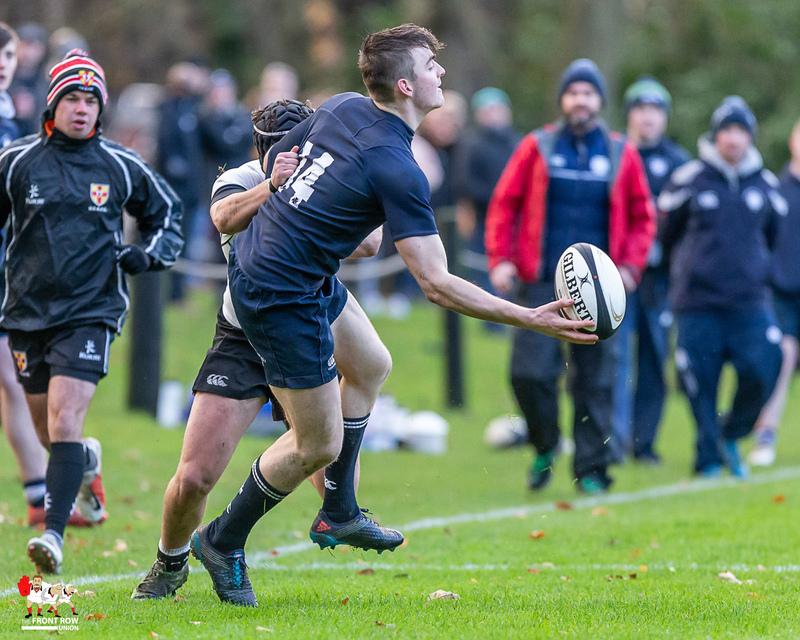 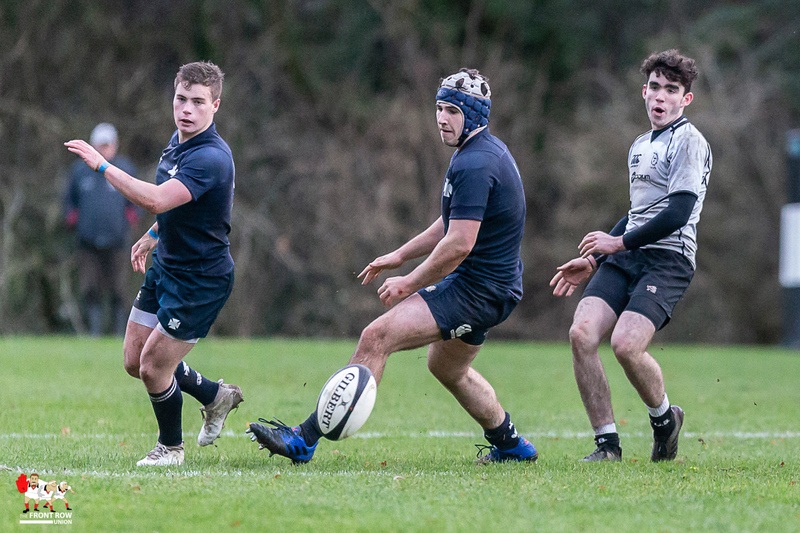 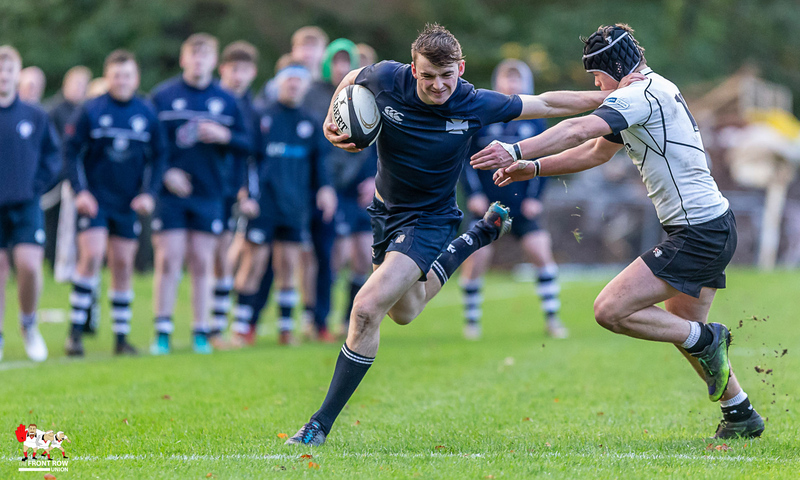 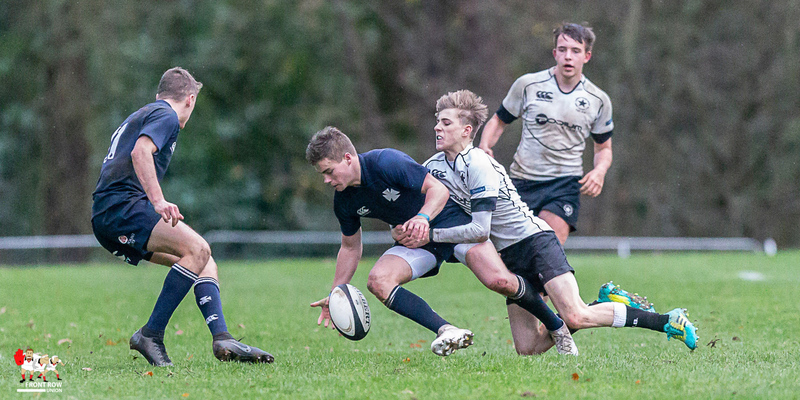 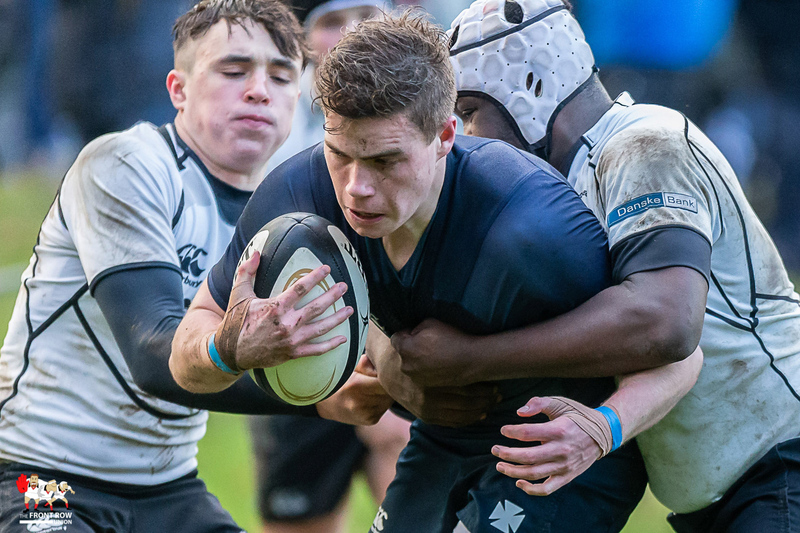 In the final move of the game Chris Larmour scored his second in the corner, Fletcher converted to leave the result 26 – 14 to Methody. 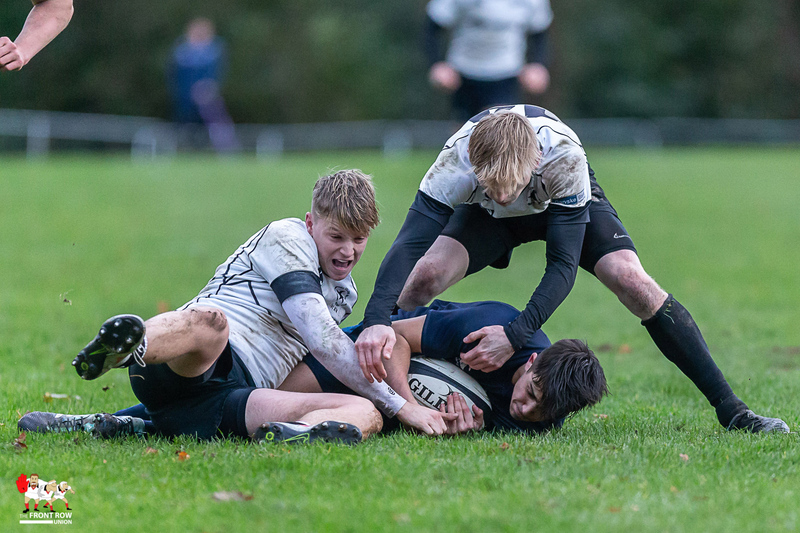 Friday 30th November 2018. 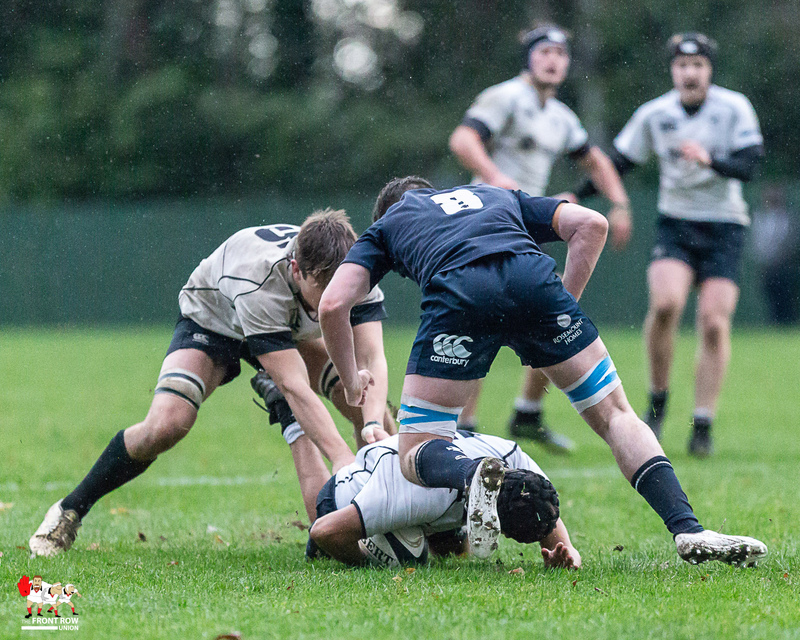 Campbell College hosted Methodist College on a very dank, dark overcast afternoon at Fox's Field yesterday. 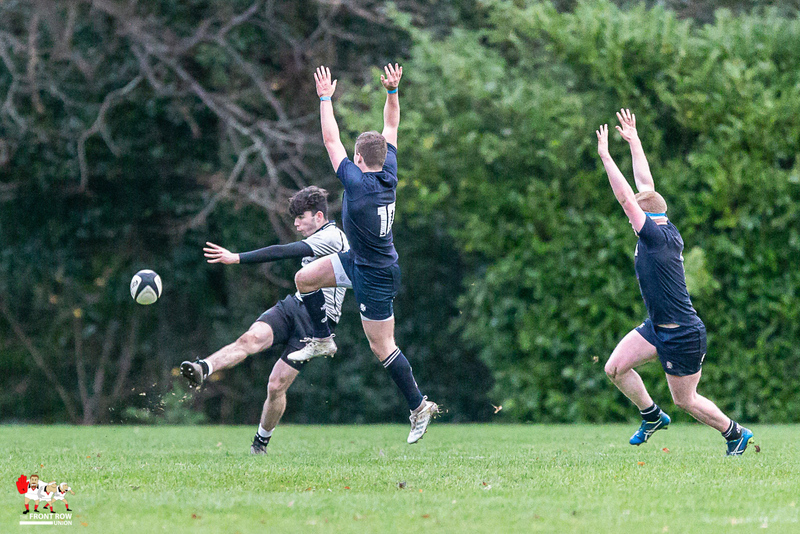 The visitors ran out winners 14 - 24.